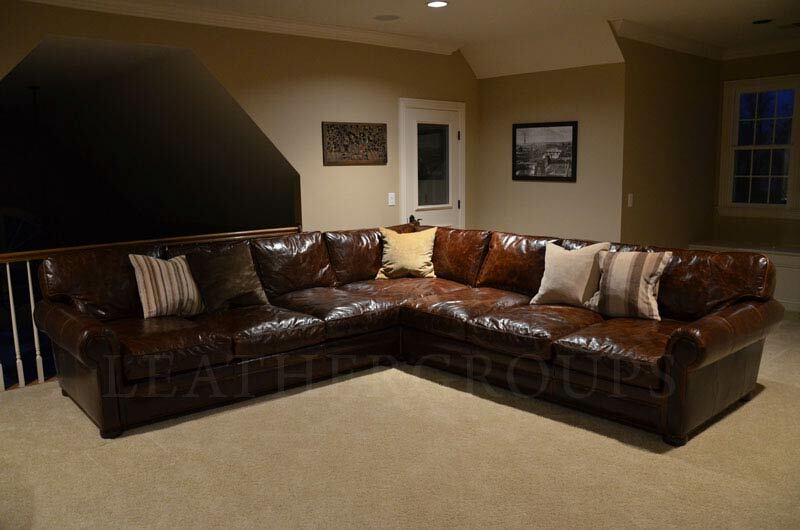 Almost like proud parents we’re sad to see this one leave the nest , but this beautiful Braxton Sectional is settling in nicely at its new home in Brentwood, Missouri. 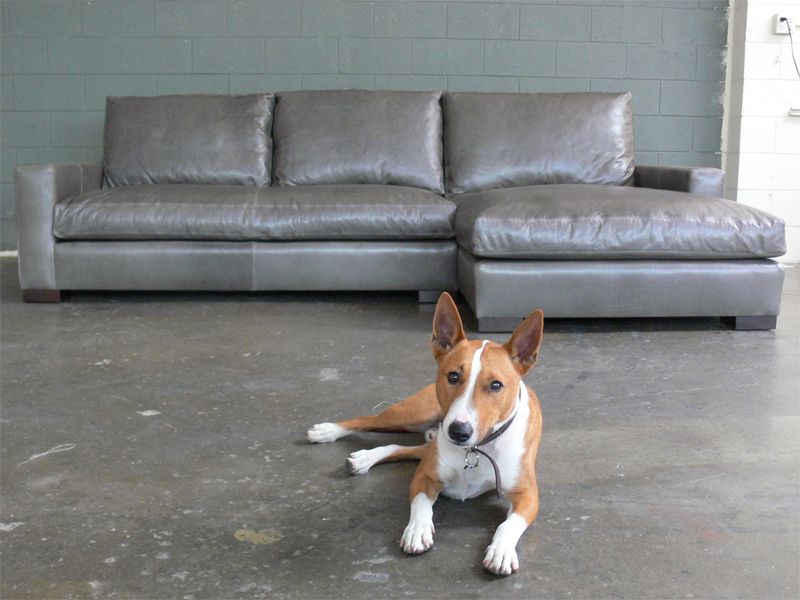 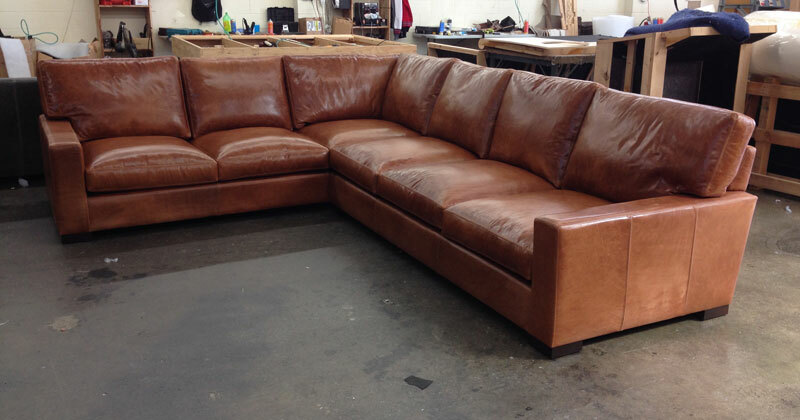 This one was built in our 43 inch “studio” depth then wrapped in our Italian Glove Chestnut leather. 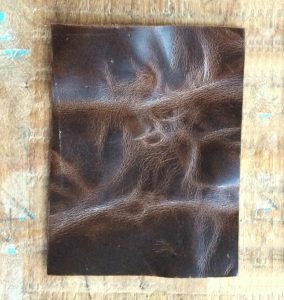 A close cousin to our popular Brompton leather, our Glove leathers are waxed pull-up leathers made using the same European bull hides as Brompton, and tanned in the same legendary Italian tannery. 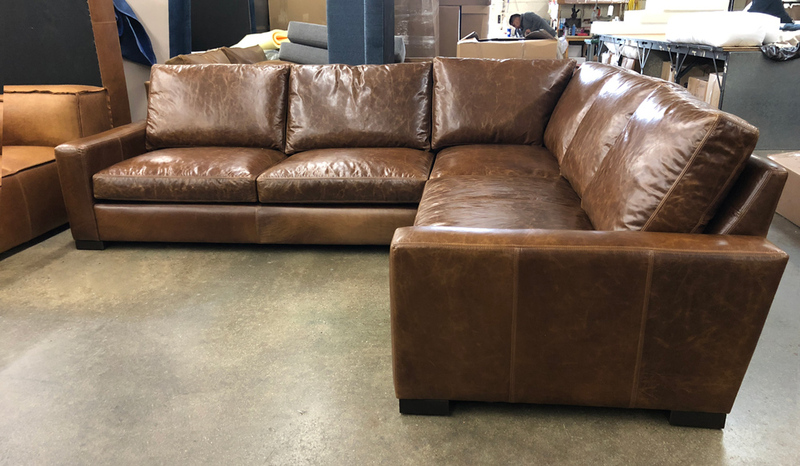 The “L” means this sectional is longer on one side than the other (your choice of sides) and of course we can customize dimensions to suit your needs on any of the furniture we make! 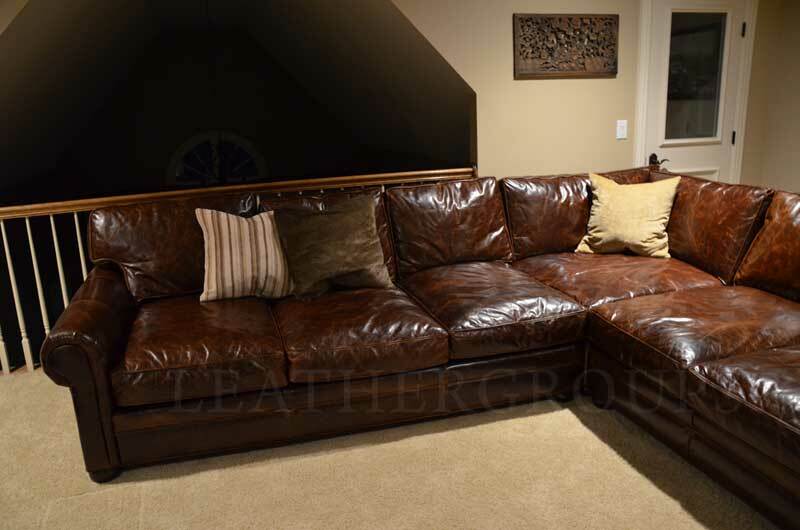 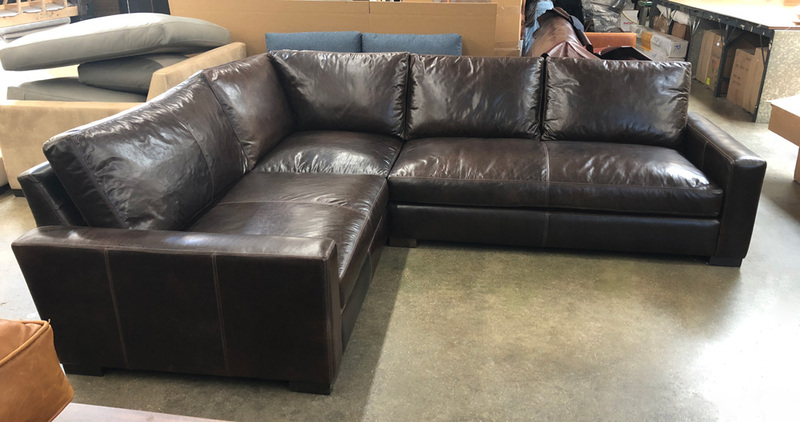 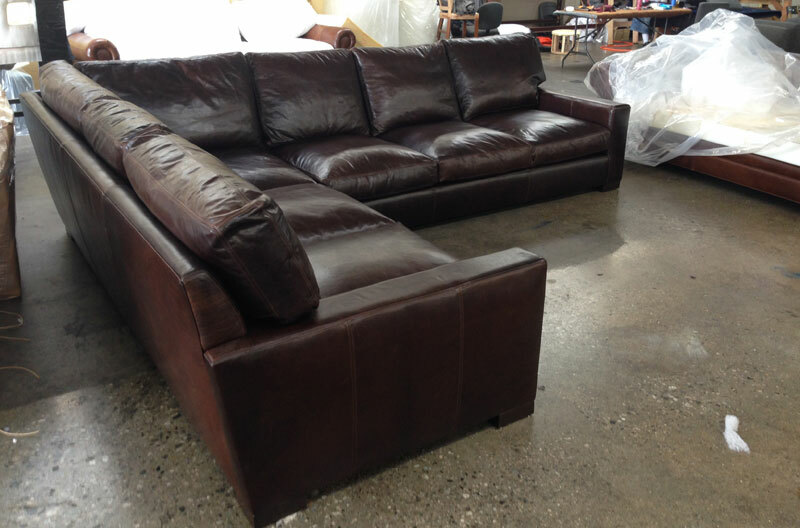 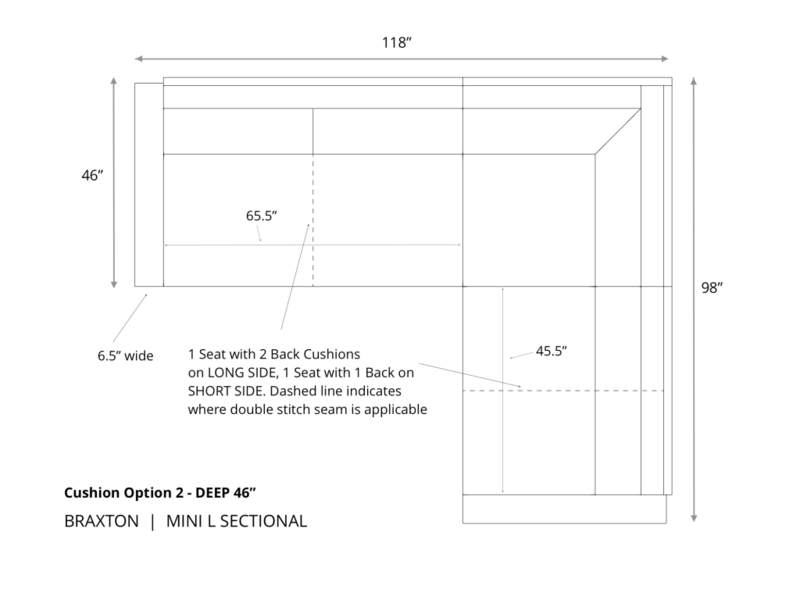 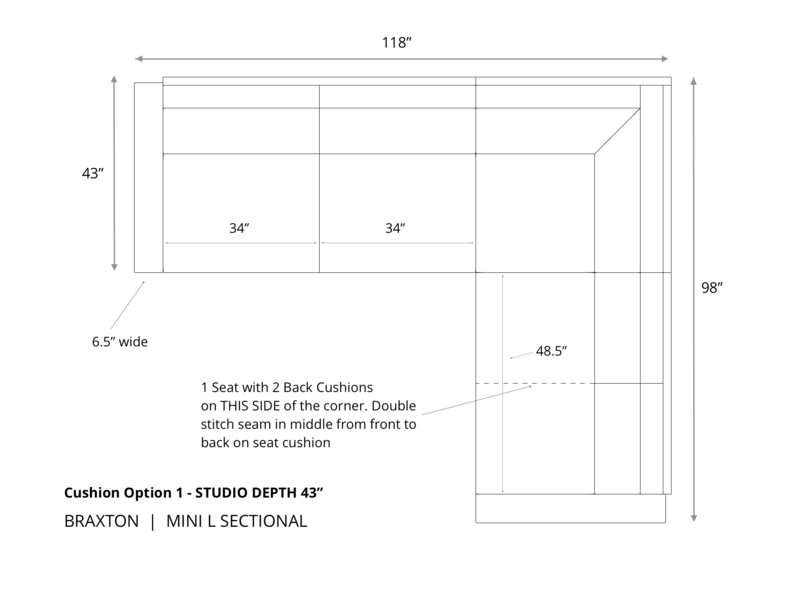 This entry was posted in Braxton, Custom Leather Order Feed and tagged 43" Deep, braxton collection, braxton L sectional, braxton sectional, Cartier Chestnut, Glove Chestnut, Leather Sectional, Leather Sectional Sofa, maxwell leather collection, maxwell leather sectional on May 26, 2015 by LeatherGroups. 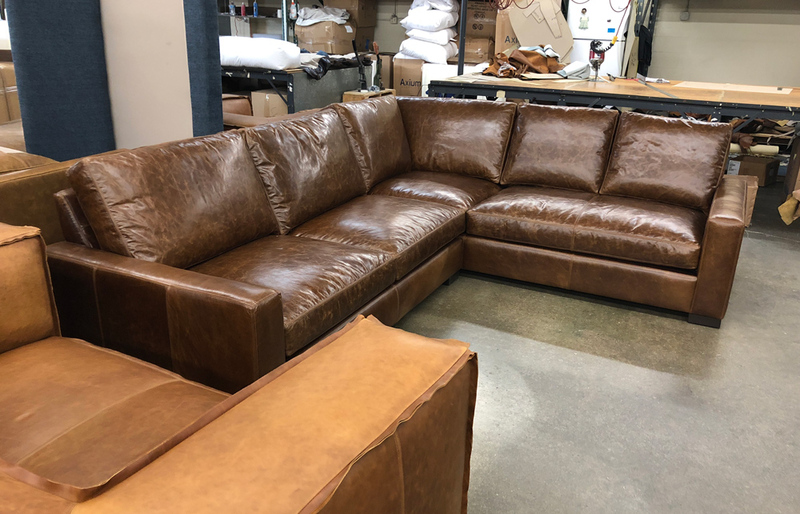 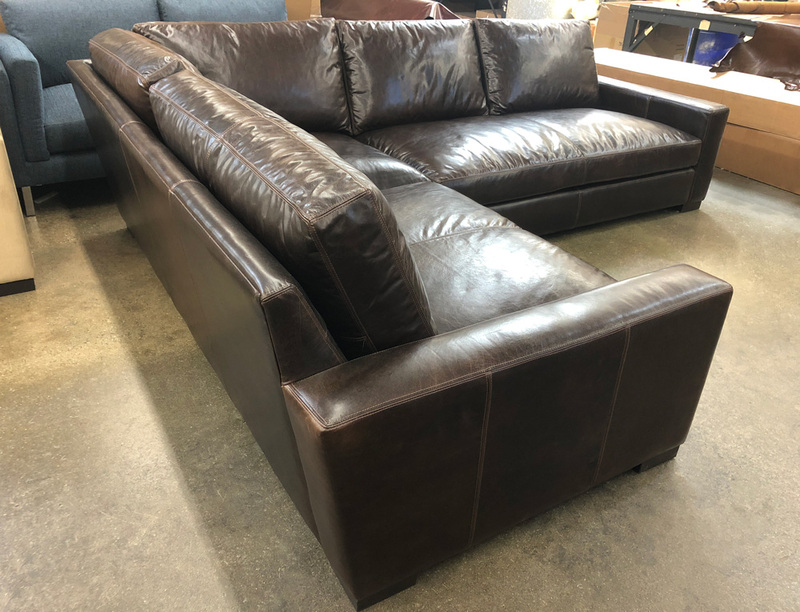 Recently delivered to its’ new home in Rhode Island, this Arizona XL Leather Sectional is done in the ever popular Italian Brompton Classic Vintage leather. 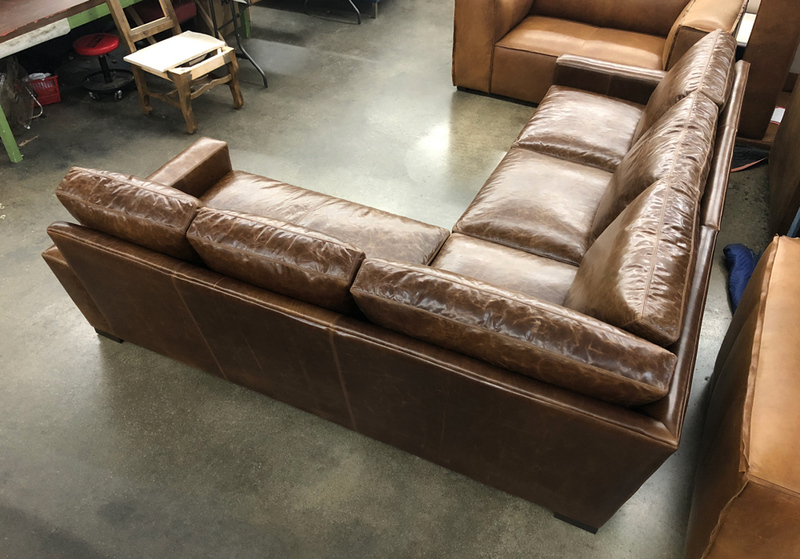 Decked out with a roomy Chaise lounge, Biscuit tufted seats, loose backs, and made in Los Angeles, CA! 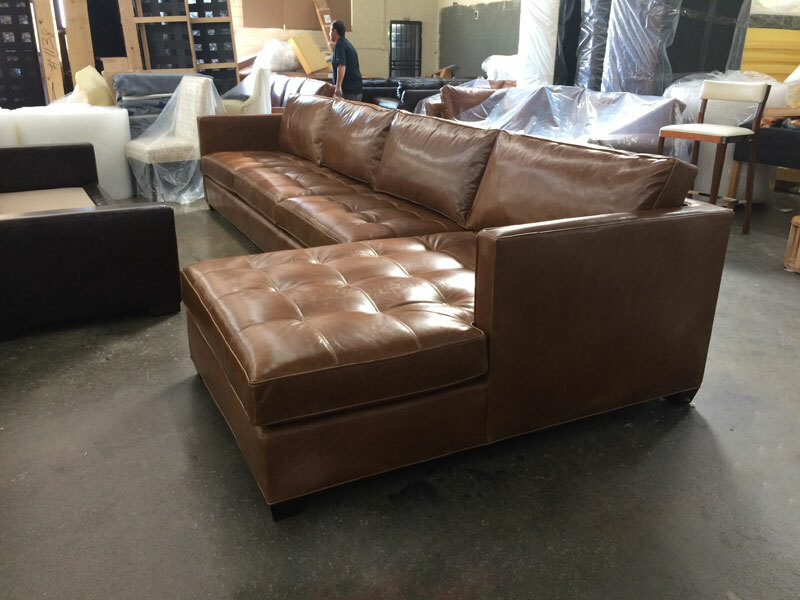 This entry was posted in Arizona, Custom Leather Order Feed and tagged Arizona Leather Collection, Arizona Leather Sectional, Brompton Classic Vintage, Brompton Vintage, custom length, Leather Sectional, Leather Sectional Sofa on November 25, 2014 by LeatherGroups. 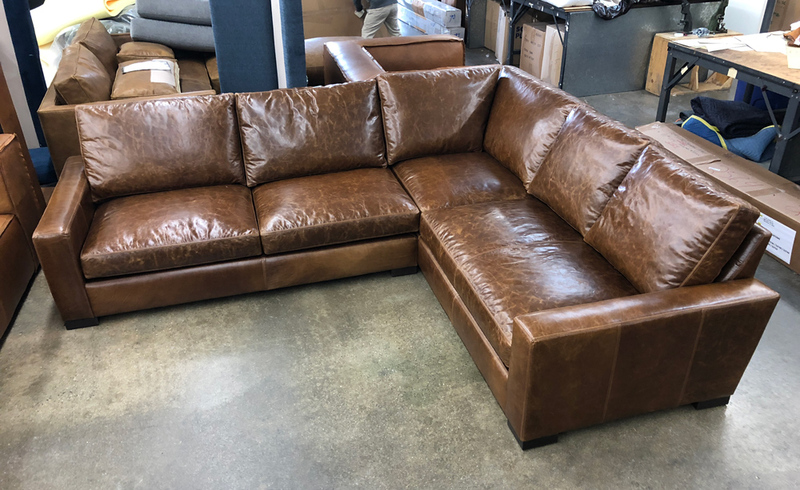 A Braxton L Sectional Sofa in Glove Truffle. 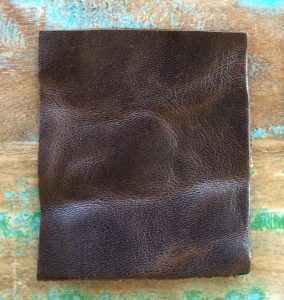 Our Glove leathers share the same characteristics as the Brompton Cocoa Mocha leather, just with a bit deeper color that doesn’t lighten quite as dramatically when distressed. 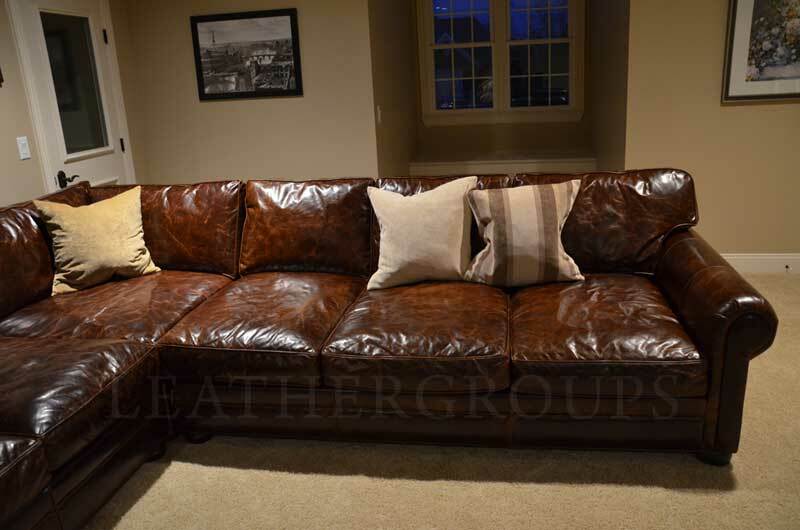 This entry was posted in Braxton, Custom Leather Order Feed and tagged 43" Deep, aniline dyed, braxton collection, braxton L sectional, braxton sectional, full aniline, Glove, Glove Truffle, Leather Sectional, Leather Sectional Sofa, maxwell leather collection, maxwell leather sectional, pure aniline, Sectional, Sectional Sofa on July 15, 2014 by J Wilkerson.